We’re back at home in California. 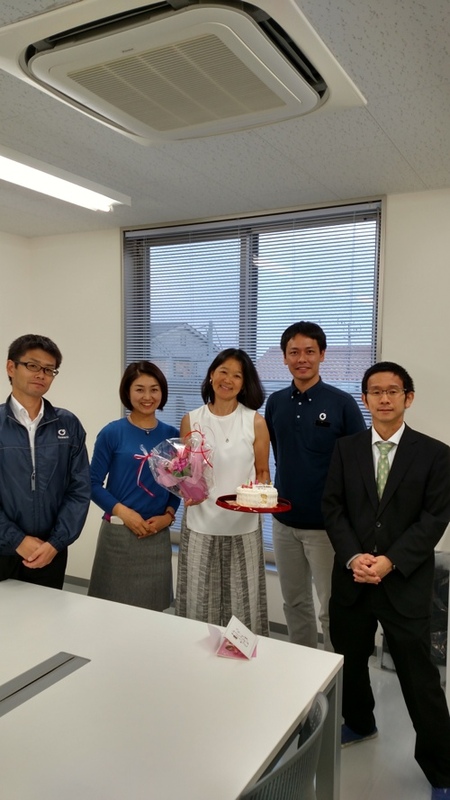 We were away in Osaka, Japan for two years, nearly to the day. Is re-entry hard? Yeah. It is. The kids miss their friends in Japan. John is feeling some pressure to find a new job. I am trying to unpack everything that was in storage and figure out where it all goes. Even the cats are skittish. We sold a bunch of our furniture so at the moment there’s only one La-Z-Boy recliner that we are all fighting over, and usually the cat is already curled up there. John is mad at rude drivers in California. 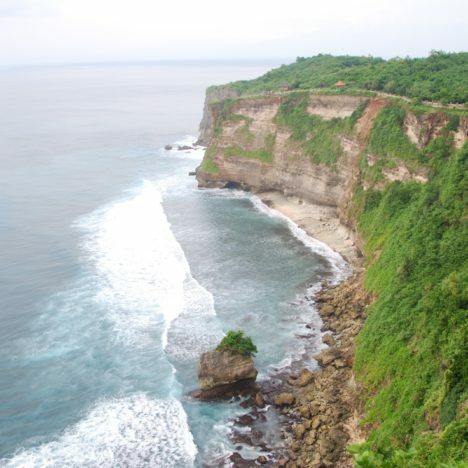 Driving here means you’ll be run over or run off the road if you don’t keep up with the flow. We try to stop for every bicyclist, near and far, but it’s hard to wait when they’re still a block away, like they do in Japan. The car behind you is too impatient to wait for distant bicyclists and pedestrians. We went to Target about 4 times a week when we returned. I was never a Costco shopper before we left but I’m a convert now. Imagine, it took living in Osaka to make a Costco shopper out of me. Now I can really appreciate it and its solidly American bulk products and enormous sized comfort food. Avalon is making daily comparisons between her American school and her Japanese school. I’m texting my friends in Japan, desperate to know what they’re doing over there without me. Are they even surviving? John misses bicycling on the open, deserted road. He’s been spoiled now, so the idea of riding down busy Pacific Coast Highway on a bicycle doesn’t sound appealing, even if the ocean might follow him along the way. Halyard and Kaiyo are taking Japanese language at Orange Coast College from a super strict Sensei whom they say is intimidating. She is no nonsense. It seems Kaiyo is too busy to spend too much time being wistful. 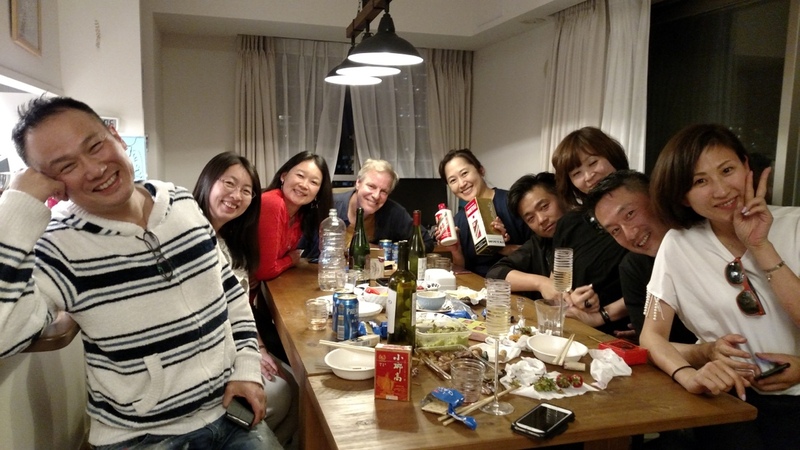 But Halyard can’t wait to get a job, make some money, and get on a flight to Japan at the first extended school vacation he gets. He also spends a lot of time wondering what his friends are doing in Japan without him. As a consoling measure for myself, here are some of the best, amusing, wacky or surprising photos from the last two years. 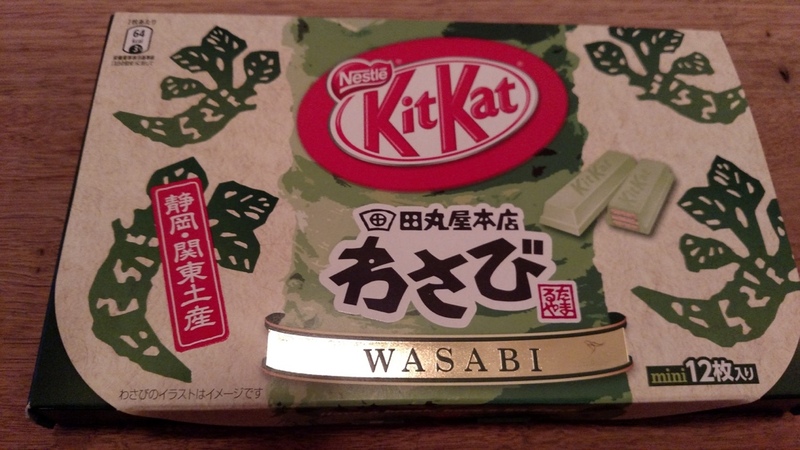 Starting with Wasabi flavored KitKats. You can find all sorts of KitKat flavors in Japan. We tried Hokkaido Melon, Strawberry, Mint Chocolate, Dark Chocolate, White Chocolate, Purple Sweet Potato and Sake flavors. But there’s also Rum Raisin, Cookies and Cream, Cranberry, Strawberry Cheesecake, various Matcha flavors, Sakura cherry blossom, Grape, Corn, Lemon, Apple and Mango. The internet says there’s also hot chili, soy sauce and veggie flavors. Eew! And that’s not even all of them. Seriously, what is this… sounds gross but maybe super revitalizing? It is around $60 for 45 ml so a bit pricey. 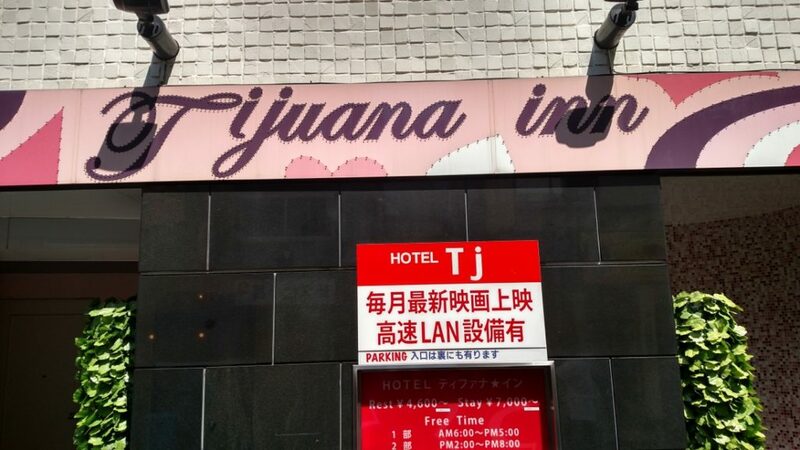 Well I never thought I’d see anything with Tijuana in its name in Japan. 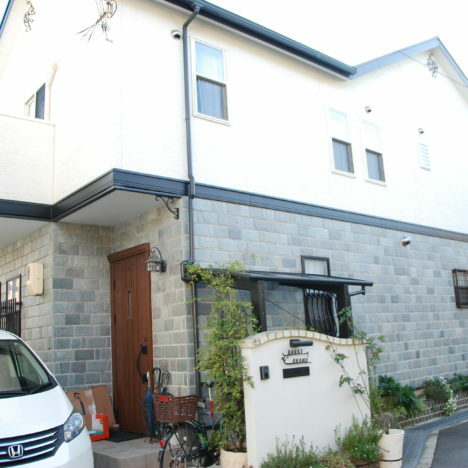 But here is the Tijuana Inn located in Tokyo. Hotel Tj if you’re in the know. 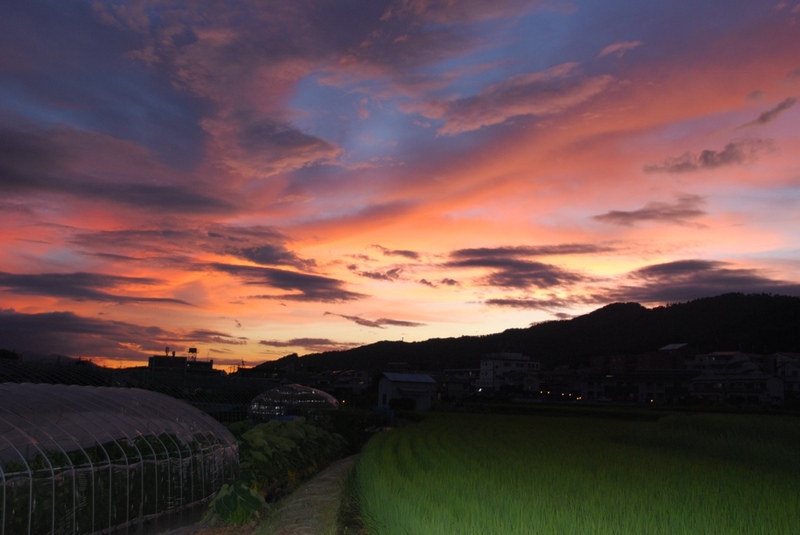 This lovely photo at sunset was taken in the rice fields just behind my house during our first year in Japan. Celebrating my birthday with some of my English students. They’re so awesome. 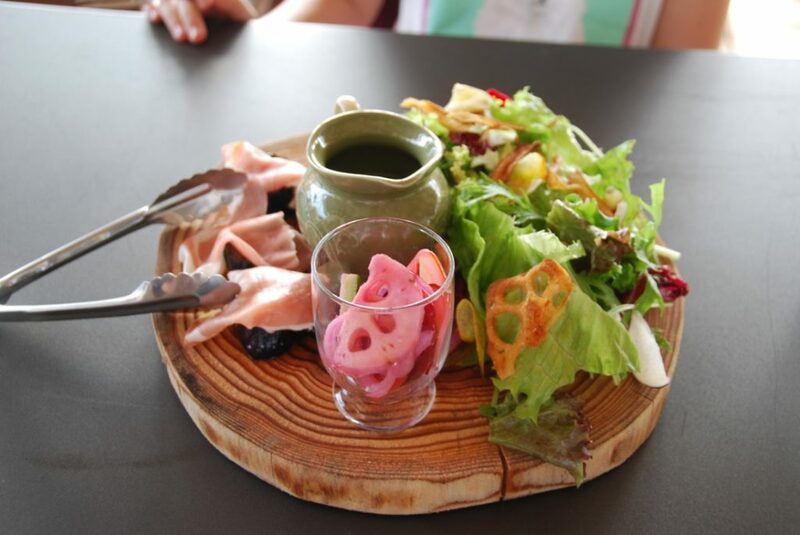 Salad served as a meal can be hard to find in Japan. Being from California I’m so used to ordering a big salad for lunch. But when you do finally find a good, meal-sized salad it’s usually gorgeous. 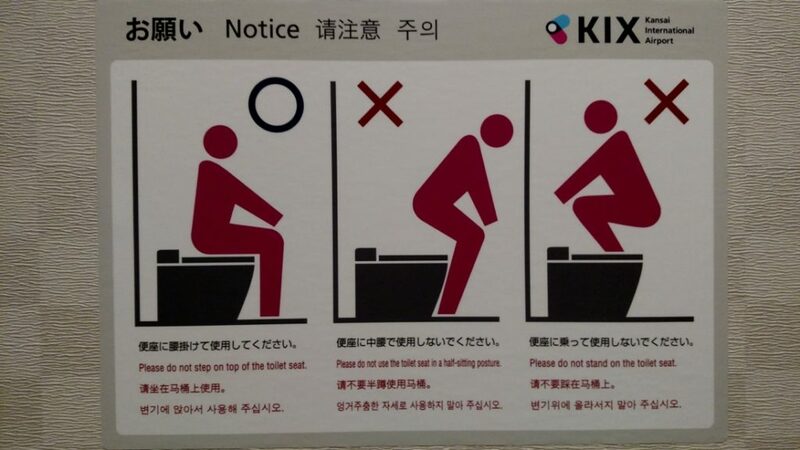 One of many fascinating or funny toilet signs around Asia. 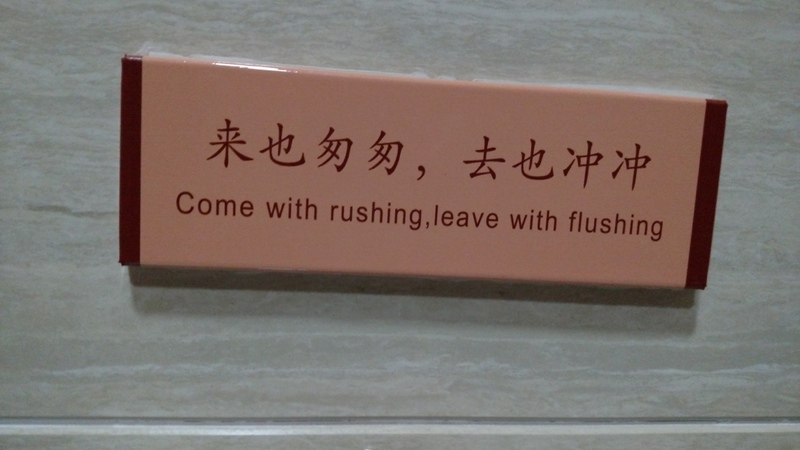 This one was in a bathroom in a popular area below the Great Wall of China. The Royce Chocolate Shop and Bakery in Sapporo, Japan. 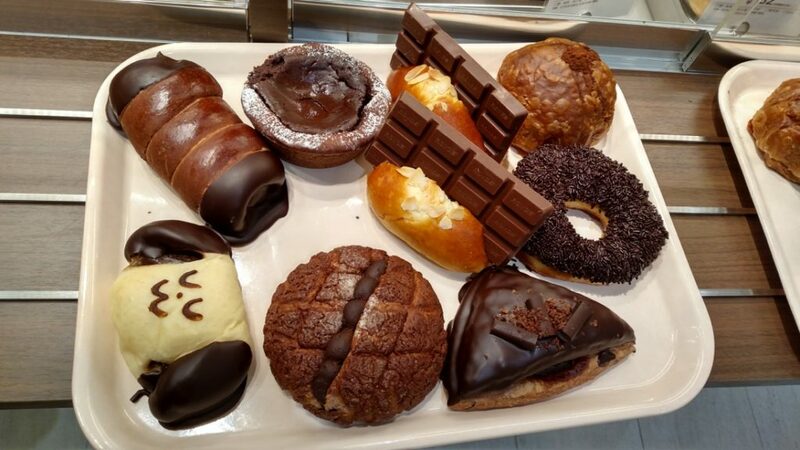 Check out that roll with a whole bar of chocolate resting in it. This is the tray that my cousin bought for her family of five. She is obviously much more generous with the sweets than I am. 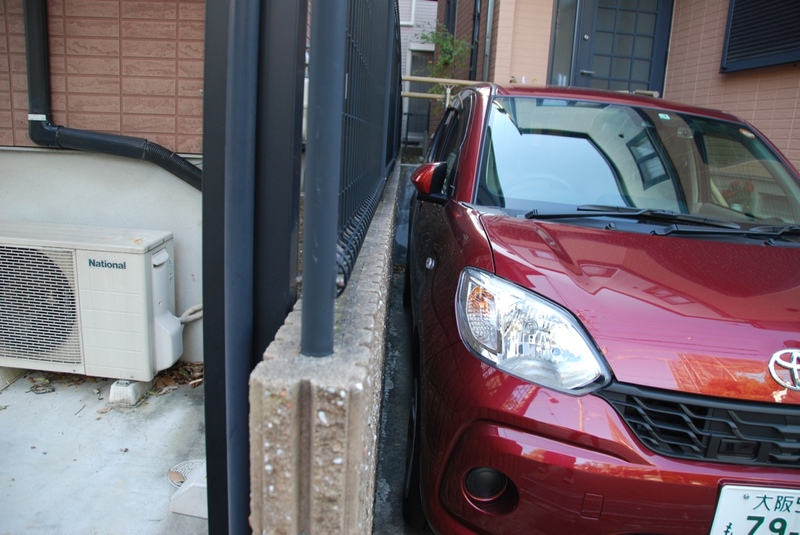 This is the house next door and this is how our neighbor parks his car every evening or afternoon. It’s incredible. You could barely squeeze your hand in next to the wall. I was re-amazed every time I witnessed it. On the grounds surrounding Osaka Castle. 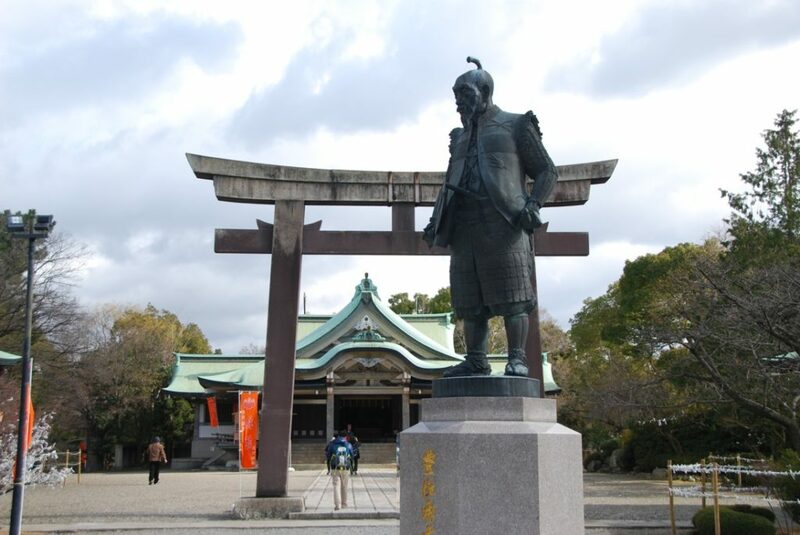 There are many wonderful structures, acres of trees and statues that are symbols of old Japan here. 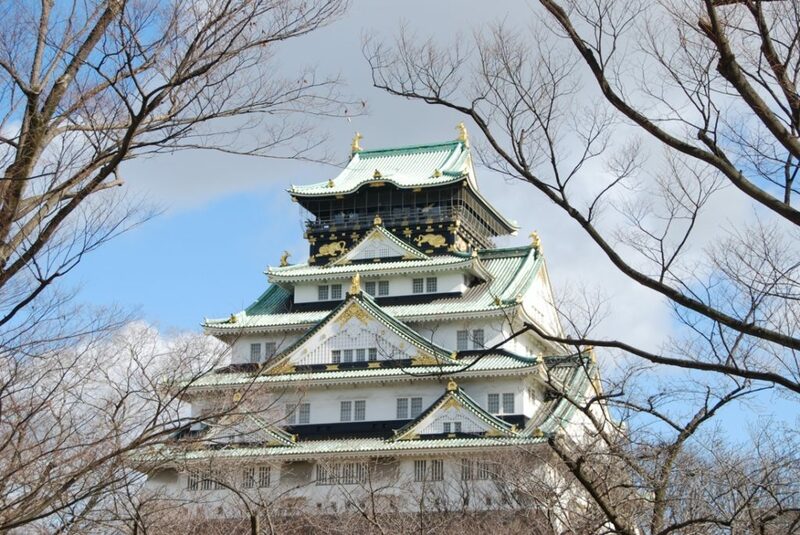 Osaka Castle in the late Fall. Just looking at this photo feels like winter is on its way. It snowed lightly in downtown Osaka once, but by the time John and I got down there to see it, it had already melted away. 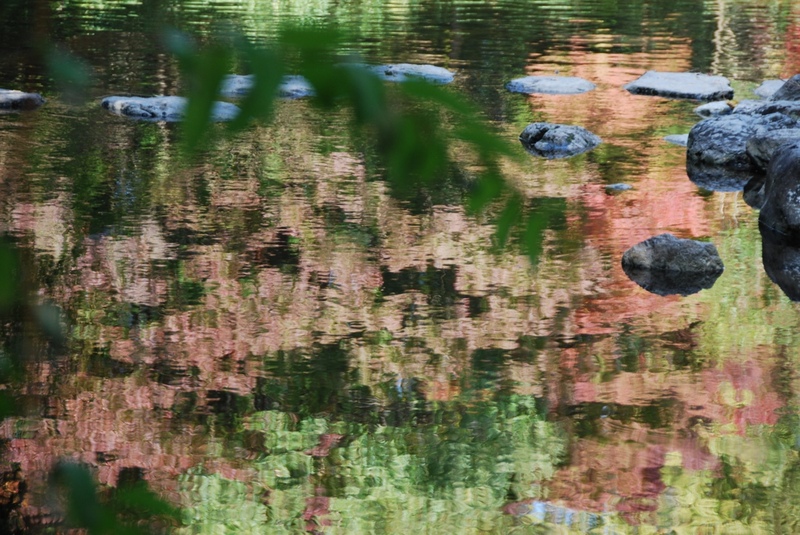 A gorgeous reflection of Autumn momiji (colorful fall maple leaves) at Expo Park. Where’s the Beef? 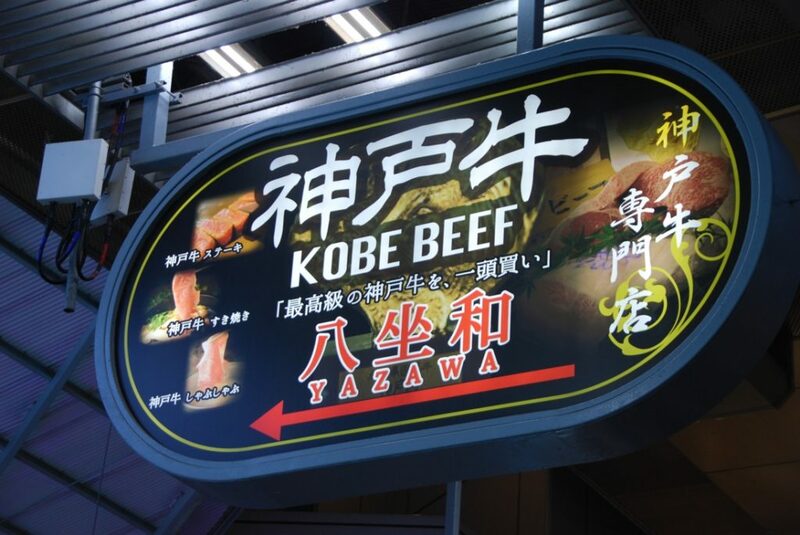 It’s in Kobe. Downtown Kobe and the hip Sannomiya area was just a train ride away from our house. My fascination with toilet signs continues… this one from Kansai International Airport. 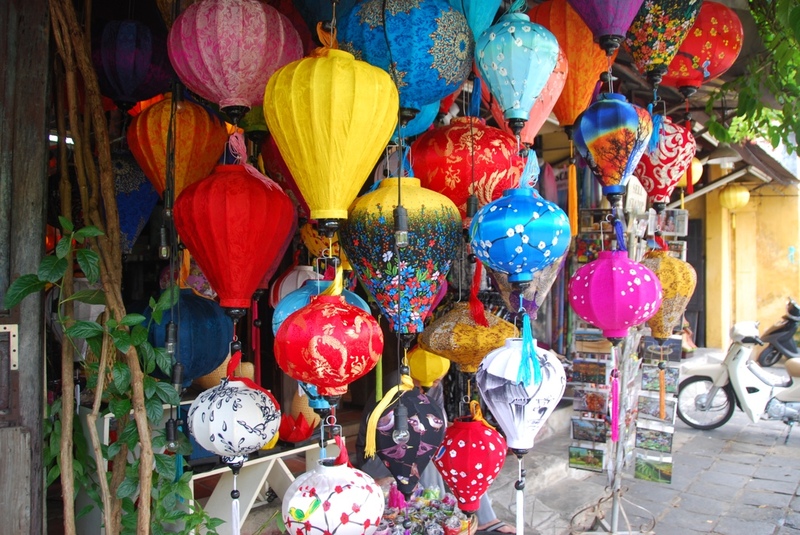 Gorgeous colorful lanterns hang everywhere in Hoi An, Vietnam. 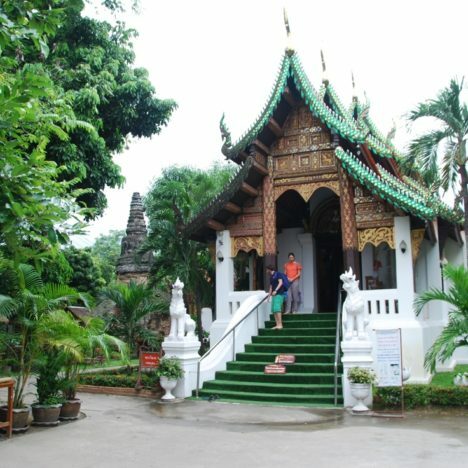 The city of Hoi An is an UNESCO World Heritage Site. These lantern are strung all around the city and by the riverside, and at night they are lit up with a beautiful glow. This is a flooded rice paddy behind our house. 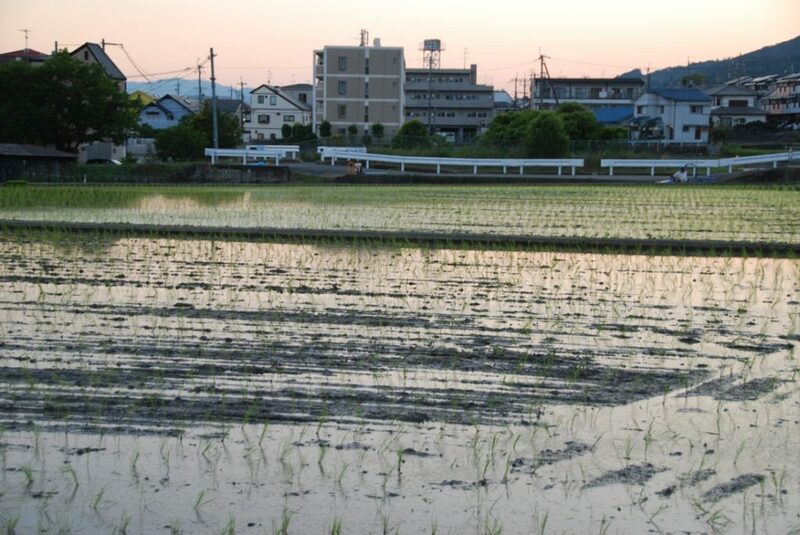 Rice planting season is in early June and the fields get flooded with water. Then the incredibly loud sound of frogs fills the night. The frogs are so noisy that at first I thought they were ducks out in the fields. 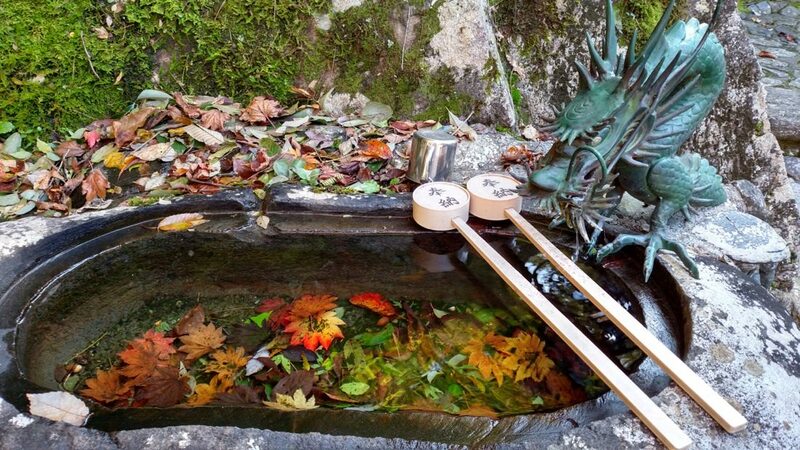 These frogs are tiny but mighty. Most of them appear to be the size of a Japanese gohyakuen coin or US silver dollar coin. 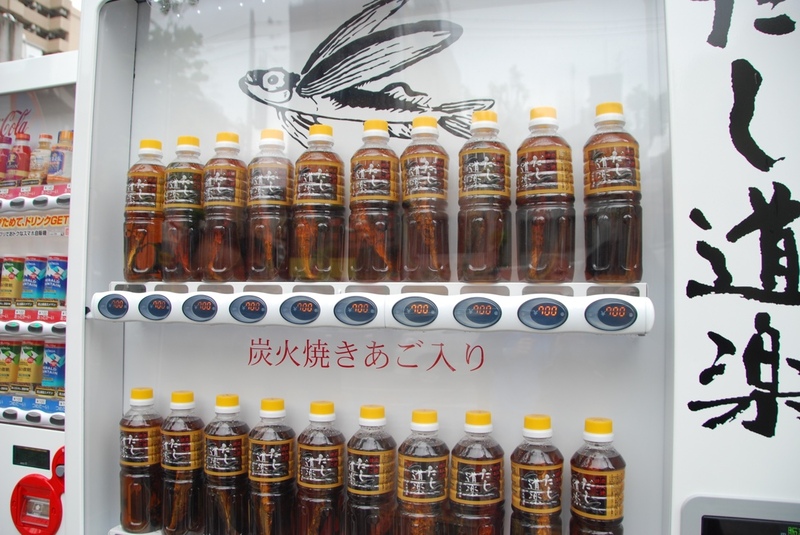 It’s highly likely that I’ve already posted this photo of fish broth in a vending machine. 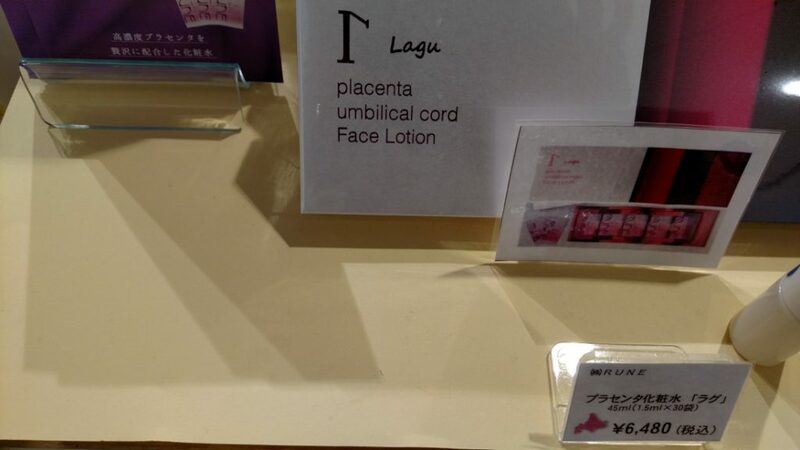 It’s one of the most interesting vending machine items I saw. There is literally a fish inside every one of these bottles. My friend said she thought it might be soup starter for you take home and make soup with. We miss our friends. These are parents of Avalon’s circle of friends. They were so much fun to be around. Mata ne!